CHICAGO -- The ATS could get an up-level Vsport model as Cadillac seeks ways to regain momentum for the compact sedan, the brand's top engineer says. "We continue to look for things that allow us to keep it fresh and to keep people coming in," Cadillac chief engineer Dave Leone said this month in an interview at the auto show here. "That's on the list of possibilities." Vsport is Cadillac's answer to Audi's S and BMW's M Sport packages, for example. Cadillac introduced the line with a Vsport version of the XTS sedan in mid-2013, followed by a Vsport version of the CTS sedan. Both of those Vsport models get an upgrade to a 3.6-liter twin turbocharged V-6 engine. They also have performance extras, such as magnetic damping and Brembo brakes, and aesthetic touches. 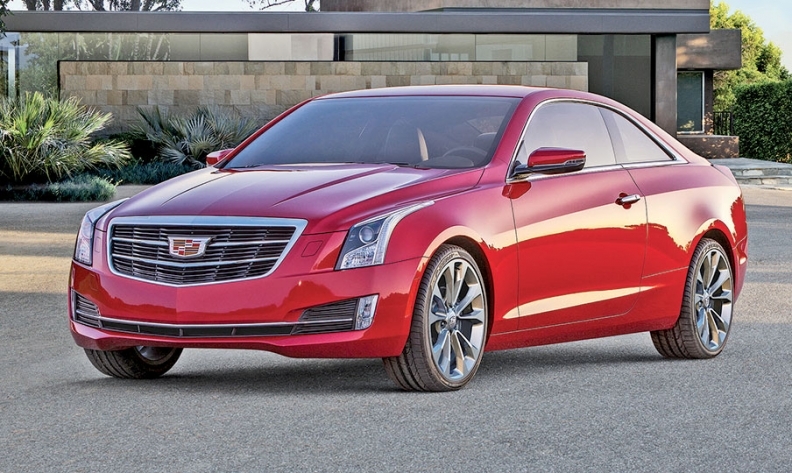 The ATS coupe joined Cadillac's lineup last year. Now, the brand's chief engineer says, a Vsport version is "on the list of possibilities." The ATS went on sale in late summer 2012 to rave reviews, but sales slid 22 percent last year, hurt by the introduction of lower-priced competitors, such as the Audi A3. Cadillac added a coupe last year to drive incremental ATS sales. It eventually could revive plans for an ATS convertible, which had been planned but got derailed by GM's bankruptcy, Leone acknowledged. "I'm not going to commit to it today," he said. "But we know how. We can. You will see Cadillac convertibles again."